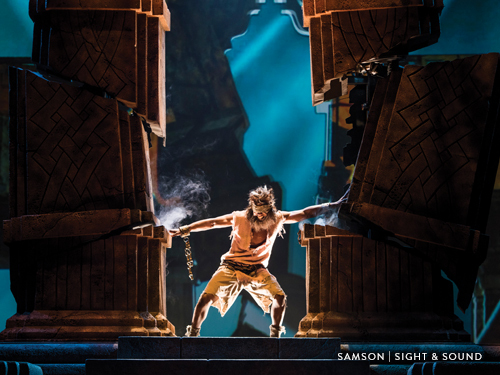 One of the Bible’s most iconic superheroes; Samson can slay beasts and defeat whole armies single handily. But certain ruler must be followed to keep this superpower. Although Samson’s called to resists the Philistines, he soon falls prey to temptation, losing his strength and sight. But should he lose all hope? Experience this biblical drama on stage and in the aisles with live animals, spectacular special effects, jaw-dropping scale as it comes to life through a world-class cast. Come experience an uplifting, unforgettable thrill that will literally bring down the house at Sight & Sound Theatre. This show features a two-time Branson Female Vocalist of the Year winner that will give you a reason to get up in the morning. Located at the Jim Stafford Theatre, Kari Garrison has a unique style of music that incorporates savvy contemporary touches while drawing from the authentic traditions of classic bluegrass. With a style all its own, this show includes a stunning band that feature foot-tapping songs from Ralph Stanley, Earl Scruggs, Lester Flatts, Bill Monroe and much more that you’ve come to know and love. You will be reminded of simpler times while listening to bluegrass music. America’s Most Entertaining Dinner Cruise and Lunch Adventure aboard an 1890s-style paddlewheel boat, includes freshly prepared 3-course meals and astonishing live shows on the glistening Table Rock Lake. This season will be highlighting Country on the Lake which features talented rising country stars performing #1 hit songs from yesterdays’ Classic Rock to todays’ popular country favorites. This vessel has views of the Ozark Mountain scenery from multi-level desks. While you are enjoying the view of Table Rock Lake, there will be acoustic performances on the top deck. Inside you will find a showroom that includes a three-story dining room seating up to 700, as promised the ship’s crew delivers a “most entertaining” experience with a new-for-2018 variety show of singing and dancing performers plus a live band. The Showboat has a unique picturesque experience where you will enjoy a meal, a cruise and a show! The World’s Most Visited Dinner Attraction brings adventure to your dinner table. With a cast of top-notch riders accompanied by 32 magnificent horses and performers, this show will keep you amused with daring trick riding and friendly competition. This season “man’s best friends” is joining the Dolly family! With the addition of “Canine Capers” brings stunt dog events such as Fly-Ball racing, agility courses, and high jump in thrilling head-to-head competition. What to meet the 4-legged stars of the show? Arrive an hour early to stroll the beautiful Horsewalk and enjoy the Carriage Room Pre-show! 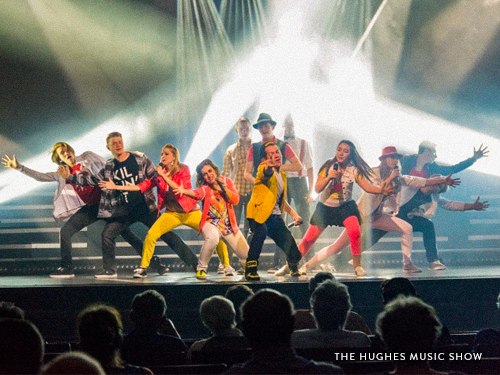 Showcasing more members than ever before, visitors can experience 3 generations of the Hughes family all on one stage! This variety show will keep audience of all ages tapping their toes and dancing in their seats. Classic songs performed by the Hughes Brothers will remind you of simpler times, while performances by the Hughes kids showcase contemporary music that everyone will love. After the show, stick around and meet the family! Heartland Country: A rare combination of seasoned Branson performers and new faces, comes together to bring you the best Classic Country Music at the Jim Stafford Theatre. This show will be featuring seasoned performers, Splinter Middleton with his great vocals and never-know-what-to-expect comedy and Casey Ellison with his smooth vocals and well-loved showmanship; alongside new comers, Kailey Adams and Logan Allen; and a power house band that is up for any challenge. You will hear County Classic such as Robbie Blackwood, Jonathan Black, Todd Brumley, Matt Hanshaw and so much more! The Prophecy: A powerhouse of classically trained musicians from all different parts of the country come together to create a night you will remember this Christmas season at the Starlite Theatre. Endorsed by the original Trans-Siberian Orchestra, this show will be celebrating over 20 years of the most famous holiday rock music with a rock opera flare! You can experience the power, music, and magic starting in November of this year. Click here to see What's New in Branson in 2018!